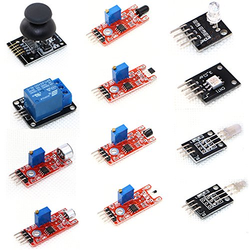 Wholesale Trader of a wide range of products which include water level sensor, ttp223 touch sensor, ecg sensor module - ad8232, sound detection sensor, 37 in 1 sensor module board set kit for arduino and tap sensor module for arduino. This is a simple touch sensor module. You can use it to replace a traditional push button. 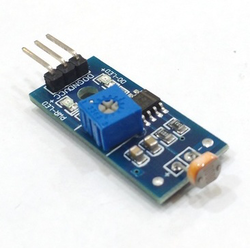 Using the TTP223 touch detector IC It measures the capacitance of a metallic pad. It can detect the change in capacitance when a finger is near it. This is the same technology used in the iPhone touch screen. This little sensor can "feel" people and metal touch and feedback a high/low voltage level. Even isolated by some cloth and paper, it still can feel the touch. And the sensetivity well decrease as isolation get thick. 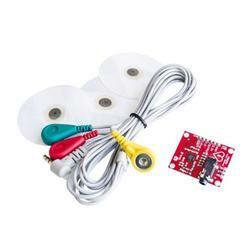 Introduction:The Sound sensor is able to detect different sizes of sound. 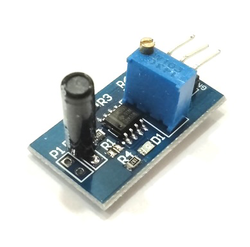 This sensor can be used to for a variety of uses from industrial to simple hobby or playing around. These little units can sense sound and variations in sound and interface easily with microcontrollers. When the ambient sound levels are less than the threshold set by the potentiometer, the output of the unit is High, conversely when the ambient sound levels rise above the pre-set threshold, the modules output is Low. 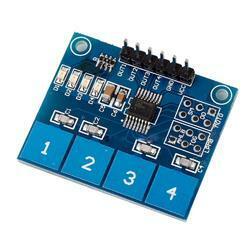 We offer 37 In 1 Sensor Module Board Set Kit for Arduino. 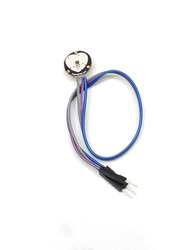 A vibration switch, also called spring switch or shock sensor, is an electronic switch which induces shock force and transfers the result to a circuit device thus triggering it to work. It contains the following parts: conductive vibration spring, switch body, trigger pin, and packaging agent. Output: DO digital switch output (0 and 1), AO analog voltage output. 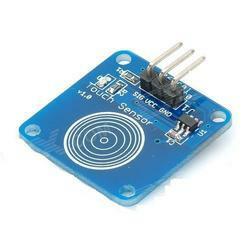 Color Sensor Recognition TCS230 TCS3200 Module come with programmable color and full-scale output frequency support. Offering direct communication with microcontroller, these also have power down feature, low-profile lead (pb) free and RoHS and compliant surface-mount package. 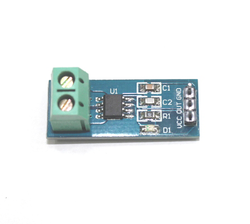 Further, the presence of on-board color sensor support for 3V-5V voltage output and output frequency voltage of 0 - 5V also makes it directly connectable with microcontroller. Some of its standard features include use as programmable color light-to-frequency converters, providing output in form of square wave, scaling of full-scale output frequency to one of three preset values and others. Pin 5V power supply, on-board power status LED. The module can be measured plus or minus 30A current, corresponding analog output: 66 mV/A. No test current through, the output voltage is VCC/2. PCB size: 31(mm) x 13(mm). Note: ACS712 is based on Hall detection principle, please try to avoid the magnetic field, when using as it may impact the reading accuracy. 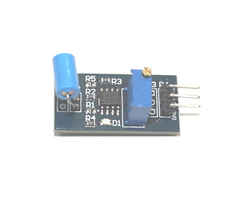 The module can be measured plus or minus 20A current, corresponding analog output: 100 mV/A. 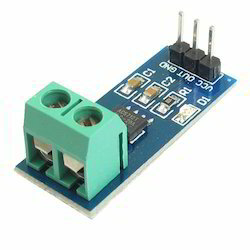 The module can be measured plus or minus 5A current, corresponding analog output: 185mV/A. Through the detection of electromyography (EMG), measuring muscle activity has traditionally been used in medical research, however,Along with the continuously shrinking but more powerful microcontroller and integrated circuit available, EMG electrical road and the sensor can be used for a variety of control system.The sensor will measure the filter, electrical activity of muscle output rectifier 0-Vsvolts, the output depends on the amount of selected muscle activity.Easy to use for Arduino controller detect muscle activity. The flame sensor module detects wavelengths from 760nm-1100nm. The are other sources of heat that will also detect this wavelength. It is therefore important that you ensure that the only source of this particular range will be the flame that you want to detect. This Module can be installed in such as surface plastic, glass of non-metallic materials.In addition to the thin paper ( non-metallic ) covering the surface of the module , as long as the correct location of the touch , you can make hidden in the walls, desktops and other parts of buttons. Pulse Sensor Amped adds amplification and noise cancellation circuitry to the hardware. It's noticeably faster and easier to get reliable pulse readings. 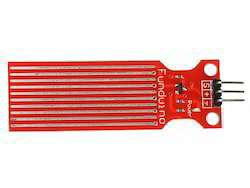 Pulse Sensor Amped works with either a 3V and 5V Arduino. Built-in regulator with external enable / disable option. Operating current, @VDD=3V no load. At low power mode typical 2.5uA. At fast mode typical 9.0uA; @VDD=3V. operating voltage: The response time about 100mS at fast mode, 200mS at low power mode for TTP224 The response time about 60mS at fast mode, 160mS at low power mode for TTP224N Sensitivity can adjust by the capacitance (0~50pF) outside for each touch pad. Provides Fast mode and Low Power mode selection by pad option (LPMB pin). 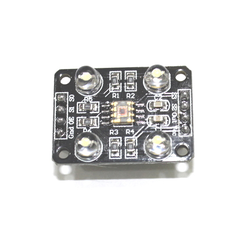 Provides direct mode or toggle mode CMOS output or open drain output. Active high or active low by pad option (TOG/OD/AHLB pin). Provides 2 output pins TPQ0D, TPQ2D that have no diode protection, active low. Have the maximum on time 120sec / 64sec / 16sec / infinite by pad option (MOT1, MOT0 pin); After power-on have about 0.5sec stable-time, during the time do not touch the key pad, and the function is disabled. Auto calibration for life, and the re-calibration period is about 4.0sec, when key has not be touched. Application: Wide consumer products; Button key replacement. Tilt Sensor Module options offered come with on-board LM393 voltage comparator chip as well as photo-activity sensing probe. 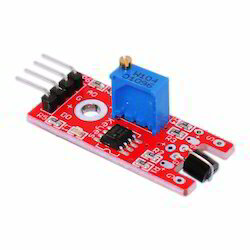 Supporting 5V/3.3V voltage input, the module also has on-board signal output instructions with option of directly connecting output signal with the microcontroller IO. Further, it comes with option of adjusting sensitivity of the signal detection as well as has reserve line voltage for comparing circuit. We can also offer these in custom configurations as per the working specifications required at client’s end. 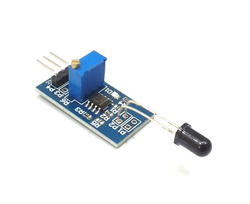 On-board LM393 voltage comparetor chip and photoactivity sensing probe. On-board signal output instructions, output the effictive signal is low lever, at the same time indicator light off; output signal can directly connect with the microcontroller IO. The sensitivity of the signal detection can be adjusted. Reserve a line voltage to compare circuit (P3 has been leaded out). 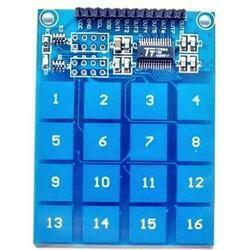 The TTP226 is a touch pad detector IC which offers 8 touch key. The touching detection IC is designed for replacing traditional direct button key with diverse pad size. Capacitive touch allows electronics to sense when your finger is within a few millimetres of a surface to simulate a button “press” just like how the pushbutton works. Capacitive sensing may be used in any place where low to no force human touch sensing is desirable. PCB board size: 47.5 (mm) x 46 (mm). 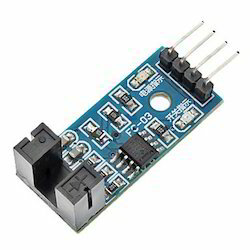 This module features an adjustable potentiometer, a vibration sensor, and a LM393 comparator chip to give an adjustable digital output based on the amount of vibration. 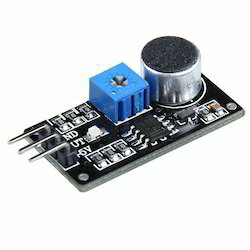 The potentiometer can be adjusted to both increase and decrease the sensitivity to the desired amount. The module outputs a logic level high (VCC) when it is triggered and a low (GND) when it isn’t. Additionally there is an onboard LED that turns on when the module is triggered. 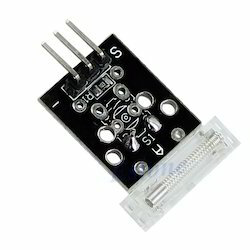 Looking for Sensors For Arduino ?